Allergies such as Hay fever affect 20% of the UK population and general allergies affect around 10-40% of the population worldwide. The condition can affect a range of organ systems and causes many symptoms such as sneezing, nasal blockage, itching and discharge. Eyes can also be affected with hay fever with symptoms such as redness, itching and tearing. Other common symptoms consist of coughing, wheezing and shortness of breath, and systemic symptoms such as fatigue, fever, a pressure sensation in the head, and itching. Acupuncture aims to help those suffering from allergies by stimulating nerves which are located in the muscles and muscle tissues, releasing endorphins and other neurochemical messengers around the body to deactivate the analytical brain and change the way the body process’ pain in the spinal cord and brain. It may sometimes also help in reducing inflammation. The British Acupuncture Council shows supporting evidence for using acupuncture to help allergies stating that ‘Evidence from systematic reviews suggests that acupuncture and moxibustion may be a safe and effective treatment for allergies with benefits over conventional medicine’. Acupuncture can also aid in tackling Asthma related problems in a range of ways. 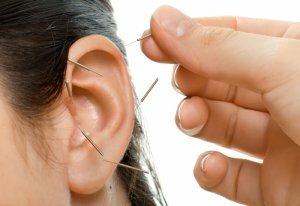 Our trained acupuncturists will select points according to the patient’s combination of symptoms and the style of practice used. Most of our options for asthma include targeting specific accupoints on the lung, stomach, bladder and kidney. Acupressure could also be effective on these points to combat asthma. Acupuncture That Works can offer a range of options which may help provide short term relief if you are suffering from Allergies, Hay fever or Asthma. For a free initial consultation and to find out more please call us on 0800 051 76 88.